Before the plane was taking off, it stood for long on the runway. I was asking myself for the reason for that misshap in time ratio. Was the wind too strong, the planes weight too heavy, a drone closeby irritating the transponder to tower about 3km away, and if the wind and weight was too strong that time even taking even pointing with the planes nose with the wind, what is unusual, always take off against the winds, thats a rule. It was a big delay on runway, the first time experienced like that. It was not too exciting somehow, put there in beteween the seats, but it was a new experience, nearly mystic I want to admit. Maybe just too heavy as with many overloads in the west, the far west from silikons to foundations, blockbusters, shares and swaps here nd there. I well remember at 15" south, south of Kenya, in the capitel of Tanzania, maybe anybody knows Tanzania, it s a huge land, vast Savanne, spread with trees and bushes, hot and dry. 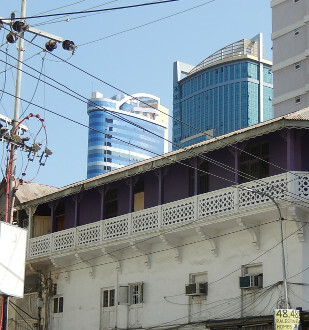 But in its capitel Dar es Salaam there are also huge buildings as in many cities nowadays. And some are lovely painetd in light blue with a white small cross, a kruzificks on top at the wall. And they have quite a few nearly finished raw skyskraplike constructions there. As its a huge african nation, with much farland and corruption, but thats everywhere the same, corruption and its friends, either the ones who accelerate it or the ones who looklike to figt corruption, whoever will know that. Even in lands with a stock-exchange (Boerse) like Nepal, Tanzania and Kuwait they fight hard against corruption, but i tell you as an insider really, with corruption it is everywhere the same, it just takes differenet looks and faces, masks and camouflage. 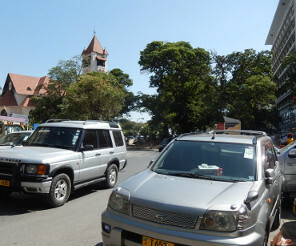 But in Tanzania as in Verona not far from the big busstand you can see that neoklerikale buildings. 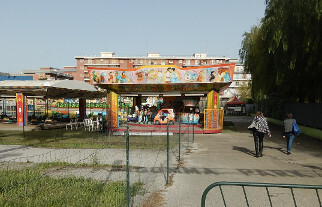 A friend told me of Bari, a city in Italies southeast, that they did 2 skyskrap like buildings there, but later as they where doing too much shadow to Baris oldtown they took them down lately again ! And why not, blowing houses either in movies or the neighbourhood of an old city is yet not uncomon since the 1st world war. Once during the midages it was many villages over decades often burnt and destroied. Since the star-wars president of the US it was in costly and with immense effort done supermovies and during Hitler and his asses from the Unterwelt, also psychopatic unterwelt, it was total cities like Dresden, Leipzig etc so what are two towers in a modern city of Italies south today. I recognized it there, close to the african Savanne, in smart light blue (not by the deutsche IG Farben) rediculouse boring by its form, uninspiring lines showing up somwhere for somebody, who knows to whom, above the heads of the crawling masses, the innocent the ones who get to sing here and there, still. Also with some education, nowadays often managment, bankability, accounting, marceting there and the dreams of profits in the books. Some may know of the well paied constructeurs some sit in some office and get a good smile looking at that light blue shining in deliciouse high-scrappers. I call these uninspiring high buildings, some even look like torn down old factories, somewhere in north Italy like Verona, after the epoches of romanish, gothish, neoklassish, renessaince, after the 1000 yearlong Reich of Hitler, Speer, the fuehreres architect, his only one, after Himmler, Goebbles, Pius XII, Innitzer (both socalled kleriker-ketzer) and after million slaughtered slaves, million burnt witches, after million fed soldiers into cannons (2 world wars), after million slaughtered buffaloes in the wild west and million trees burnt of its leaves and people got poisend along by agent orange (Vietnam, J.P. Sartre did a tribunal during that war), done even after 2nd world war by the master chemiklerikale nazis of another freedomland, people can nowadays look the neoklerikale architecture in many places. In Verona it looks a bid strange beside the huge old walls and ruins of old roman fortifications, not far from the vast busstand, it looks a bid like kulissen to a Zombie movie, half torn down and left over old factury buildings, but with a cross here and there on top, showing somwhere, who knwos where. Or a golden ball, a golden key or golden sword, a golden account book or marceting tool, golden angel on top as on many tops as in Madrid or Barcelona, the corner stones, the center pieces of rotten stinky century long klerikale symbolicismo procipathos (in contrary to anticipating) to look the big spectacle, the big theater, the big slaughter over decades and countries, over continents and lands devastated by idiots and its shadow fighters. It can easily get accounted that behind some of these buildings are the scientologists (unlogical psychos), the streetcrawlers often seen here and there, who can not answer, as many questions nowadays seem to be mostly hard questions, also for some CEOs here and there during an interview or even press conference. But these psychopatho contralogistas they are by a very hierarchic organistation, very straff ausgerichtet, like in an ants nest, with the soldier ants, the worker ants, some honey or lice licking ants and the queen and king ants on top (formigas in spanish). But lately at all they send body signals, still. In other paraklerikale or proklerikale, also kuriale organisations, whoever knows how to differ and name them appropriate, it is overall triple talag of church, bank and war (Kirche, Bank and Krieg) and some political parties ar nothing more than the Vorbau to the church, the lobby to some church. Sometimes their relationships, however approved, publicly or not, certified as this or that or however break. But as some get married to very dominant counterparts, afer getting trained maybe for years in such pathoscientistic organisations, soon after they get divorced because of the training before. Modern witchcraft looks different and it has million names, a million words, many postpartner companies, it gets empirically approved, on a daily and weekly basis, do not count on it, do not account on it nowadays ! There in that city, which got allready left by Mozart, you can also find the Institute zum kostbaren Blute, it is rediculouse, small underneath some trees, behind the family house of Trapp Trapp, who got part of the famouse the big public viewing and best known musical story in the total USA, which gives proof of the good relation ship between that city left allready by Mozart, but yet in a kind of romantic verklaerte relation between the city of Sound of Music and the total USA, which is the only place where they got that story that close. But i can imagine that the institute to the holy mud, garbage and shlick is missing since Innitzer and the younger cold hands of Kren and Groer, both modern coldblooded psychoklerikals exgratia of the same region. As timtraveller on warrior path I got to see these boring looking buildings in Verona, Dar es Slaam. And interesting aside in Brasil, a really vast country, a nation so to say, there you can see sometimes lost in the big sreets the little hutlike looking churches, the huts are done by the socalled universal church another monstroese Geldsammel org, and that church does the big theater for money accumulation sometimes in Stadions. Where they then screem around between their nite followers, the allready poor sheep in mind and dreams and collect the money fom them. But most of the time, if ever, you can see the hutlike buildings somewhere along some big streets at night with a small light near the cross under the roof. This page is dedicated to grandpa, the hero of the heroes and a klerushater empirically, who even told Rommel (El Alamein) his opinion. You can copy or read the page with regard to the author, me H. Schuetz (a great warrior chief) or with source adress of wesbite clearly shown, for nonprofit purpose only.